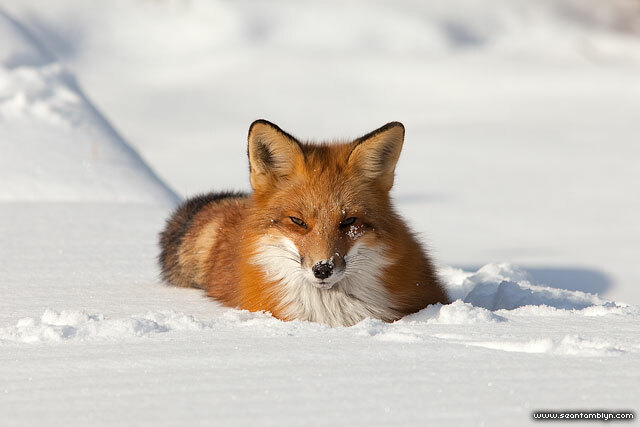 The eyes say it all, as this red fox stares down the camera. This entry was posted on Monday, January 10th, 2011 at 8:04 pm. It is filed under A Perfect Season, Christmas Boutique 2011, Featured, Lagoon Report XVII, Lagoon Reports, Mammals, Once There Was Winter Part II, Red Foxes, Wildlife and tagged with Canon EF 300mm f/4 L IS, Canon EOS 5DmkII. You can follow any responses to this entry through the RSS 2.0 feed.